I’m not a fan of the two-Test series. It’s a half-hearted waste of time, and almost a token gesture to the lesser nations of world cricket who aren’t deemed good for at least 3 Tests, if not the 4 or 5 Test showpieces. But as a Proteas fan I was rather happy this recent outing in Sri Lanka only saw the teams donning the whites twice. What an absolute disaster it was for Faf Du Plessis and his men. In the first Test they could only scrape together 199 runs in their two attempts at the crease. In the second Test they got spun out for 124 in the first innings before finally putting together a more respectable 290 in their next innings with the match and series already long gone. 613 runs. 613 runs with all their players batting 4 times! Only Temba Bavuma (63) and Theunis De Bruyn (101) managed to raise their bats in the series, and that was in the ‘heroic’ total of 290. Were the conditions that tough? Sure, the Sri Lankans exploited local conditions superbly with a scintillating display of spin bowling. Was this to be expected? Of course, it was. So why wasn’t it dealt with? We shall get back to that in a second, but first, the bowling side of things. Knowing full well spin was going to be king from ball one, the Proteas still believed their seamers were going to be their main weapons with the ball. So much so they picked 3 in that second Test with Keshav Maharaj the lone spinner. Unsurprisingly he did well, 9/129 well in the first innings which makes you wonder what might have been if the Proteas offered similar threats to the Sri Lankan batsmen. I can’t remember a South African team looking more out of their depth. Teams win and lose, that’s sport, but it’s the nature of this disaster that I find most troubling. It was nothing short of naive, and you simply cannot exhibit this quality in the dog eat dog world of Test cricket. No matter the conditions. This has got me questioning if some away Tests are that important to teams nowadays. In the aftermath of these losses, you will hear noise about conditions favouring the home side too much, or how the bowlers were picked solely to take advantage of the home conditions, or how the toss should be taken away. It’s all nonsense of course. Test cricket is an ugly business, especially when you are the away team. You will be given nothing, and you will be forced to like it. When you tour India, Ashwin will open the bowling and another 4 guys who turn it will back him up until you just want to break your bat and go home. This is how the game is played. The idea that fast bowlers take the new ball is long gone, and if you still think this is ‘the proper way’ to play Test cricket, you need to get your head out of your arse. Which is exactly where Proteas coach Otis Gibson appears to have placed his head. The West Indian is no doubt more versed in the art of fast bowling than spin, but why didn’t he have a spin specialist in his coaching ranks for this Sri Lankan tour? No. I’m not talking about his bowling coach, or an assistant coach, I’m talking someone outside of his group with expertise in these conditions just for this series. In 2018, it just isn’t good enough to say ‘you battled in the conditions’. The Proteas didn’t just arrive in Sri Lanka by mistake this month because they took a wrong turn en route to a beach holiday. This is a scheduled tour. Preparations must be made and focused selection plans need to be thought out. 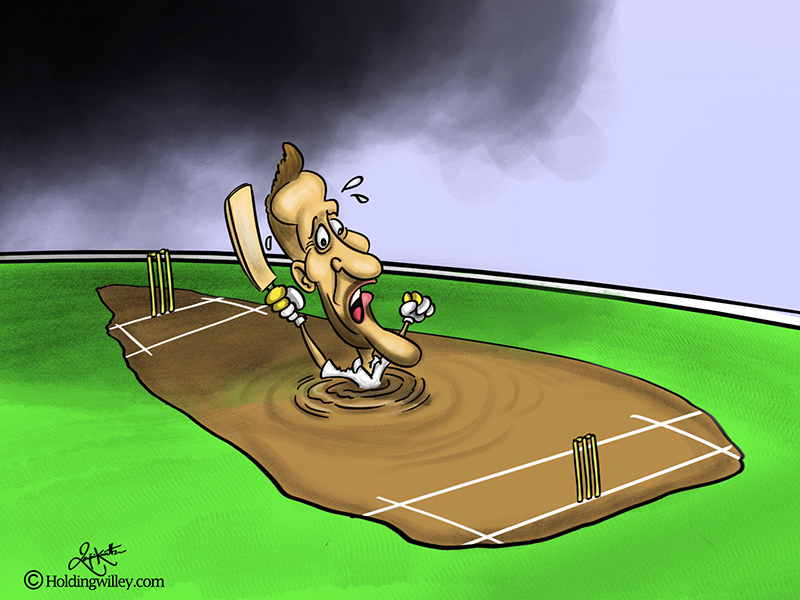 Not so long ago the Proteas were humbled in India on turning pitches. Has there been a batting camp in that environment since? What have the coaches done to implement learnings from such failures? Judging by the 613 runs in this past series I’m going to go with the answers being ‘no’ and ‘bugger all’. But how though? It can only be reasonable to assume then that they just don’t see these sub-continent tours as important. As long as they play well at home, and are competitive in England and Australia, it really doesn’t matter what happens when they have to endure these ‘other tours’ every now and again. Perhaps this is how other teams feel about the issue of playing away Tests in tough conditions too? Just to write them off as ‘experiences’ and then just focus their resources and players where they know they can perform. I apologize if this view seems somewhat cynical, but the more I think about it, the more this line of questioning is holding value. And I raise it with you here as this is not good for the game. Teams taking knives to gun fights away from home will lead to unwatchable cricket. Nobody wants one sided whitewashes, and worst of all predictable outcomes. 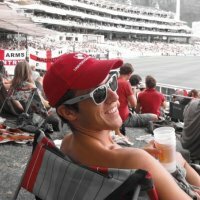 The Proteas have always been so incredibly competitive in the Test arena away from home, but recent years have seen this reputation all but go up in smoke. It is a worrying trend that needs to be addressed.